This component has proven to be a weak point on the 9-5 & 9-3, with replacement often being required on higher mileage cars. PFS are pleased to be able to offer these brand new genuine Saab throttle bodies at a huge saving over the normal Saab RRP. 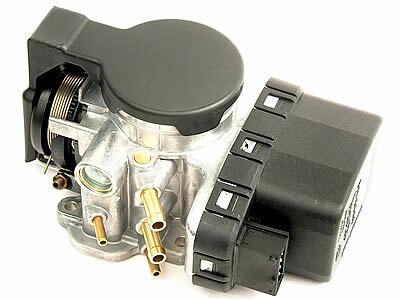 The throttle body does not come with the bottom o-ring. To buy the o-ring click here.